It was a late night at the blackboard for Joel. There are many parallels between the bourbon and Scotch industries, not least their traditionalism and an apparent willingness to hang onto their historical values, whether or not they remain relevant to a current new breed of drinker. Tradition aside, both businesses have experienced hardship and the financial swings and roundabouts, which have surrounded the past century of trading. Prohibition almost wiped out the bourbon business (from which, only a handful of brands truly survived) and the various distillery closures throughout Scotland (some famous names, some not-so-well-known) point to the fact that it is easy to predict growth, but almost fatal to listen solely to the statisions making the predictions. Today, whisky is in rude health, where ever it is made and we have seen trends towards marketing the spirit towards new younger audiences, seemingly with great success. The growth of flavoured whiskies (Red Stag, Jack Daniel's Honey) has caught the attention of the US drinker and there is clearly room for someone to pick up the baton here in the UK with a similar Scotch whisky-related product. Will the SWA like it? Probably not. 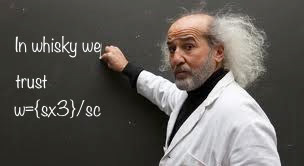 Should we care? Probably not - but remember, the difference between sounding like an old fart and an inspiring raconteur is knowing which bits of your brand heritage to cling to and when one should jettison the dusty, tired and outdated bits. 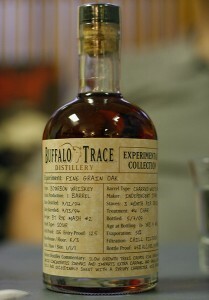 A little while ago, I got to try some experimental cask releases from Buffalo Trace. What struck me, was despite the bourbon industry being founded on such rigid pillars, there were some companies having a little bit of fun out there (albeit with hit-and-miss results) but who retained the ability to stand up and admit when they went wrong. This is the art of experimentalism. Some people wouldn't dream of letting the general public have an intimate view on their R+D depts and would sooner shelve something which didn't quite work out before it got to the shelves, than actually face trial by fire from their customers. Buffalo Trace, despite their tenure in the whiskey business, didn't seem to give a f**k. Some of their experiments are a huge success - one offs - to day that they 'did it'. Others were pretty poor and the line from the distillery was that they didn't work and were not hugely recommended. Of course, it didn't stop them all selling out and becoming legendary bottlings! 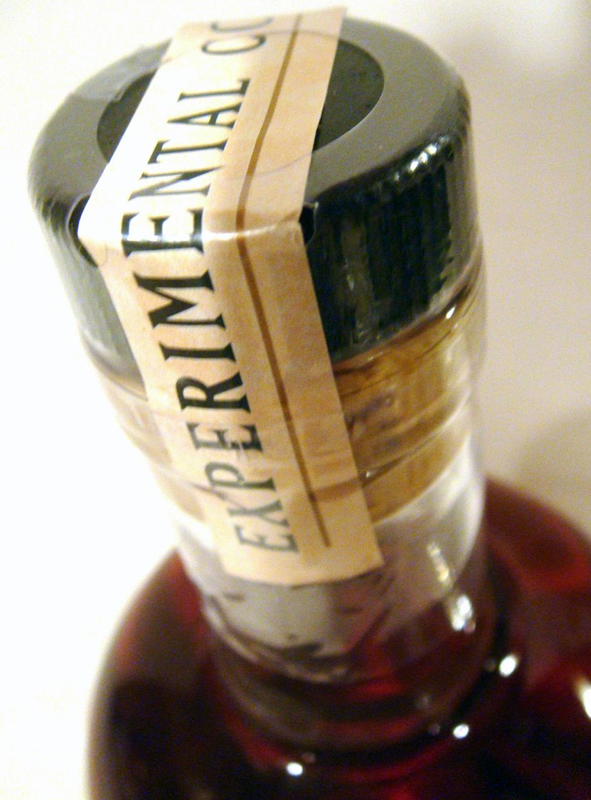 Today I received a bottle of something in the post, which immediately got me thinking about this experimental collection - but which hails from a lot closer to home than Frankfort, Kentucky. 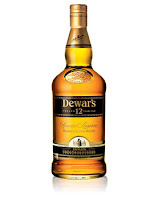 Dewar's are an undoubted (if traditional) powerhouse when it comes to blended whiskies. So it was all the more surprising that the bottle sat on my desk looked like a rather snappily-dressed lab room sample. In fact, it turns out that it is, but Dewar House Experimental Batch A39 looks superb and I hope that should it end up being released, the actual whisky label, (and the bottle design) ends up looking like this, as it really is a cracking piece of design. The whisky in question is apparently a 17 year old blend, bottled at 58.9% and is apparently finished in sherry. Other than the details of the bottle outturn, there is little else to report! Nose: The first impression is absolutely sensational. Big honeyed notes, some rich, woody sherry notes, soft fruit crumble, light vanilla, milk chocolate and some rum-soaked raisins. Palate: Powerful and oily, with masses of spicy character - anise, cloves, dark chocolate and strong oloroso/PX notes. It is lively at 58.9% so needs calming down with a dash of water. Then it really comes alive. Sweet vanilla, some burnt caramel, cooking apples, rich woody notes and a return of the spices - liquorice and cinnamon. Lovely. Finish: The dryness takes over, but you're left with notes of the cooking apple and a lengthy haul of spices. 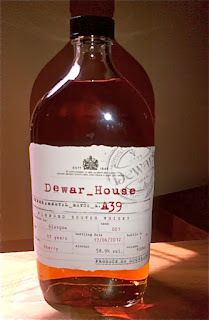 Overall: A big whisky and a very nice looking bottling to boot. I have no idea what this will evolve into, but I hope that they just put a seal around the neck and sell it like this. It takes blended whisky into the connoisseurs market and spices things up a little. Come on Scotland- let's shake things up a bit! !